Michael supports the German office on various tasks (customer support, demand planning etc.). Michael has a long history in the MI Industry and has worked for companies like Behringer, Line 6, Start Music. He's an active bass guitar player and founder/ member of the band Jaded Heart. With springtime around the corner, so does Prolight + Sound 2019. 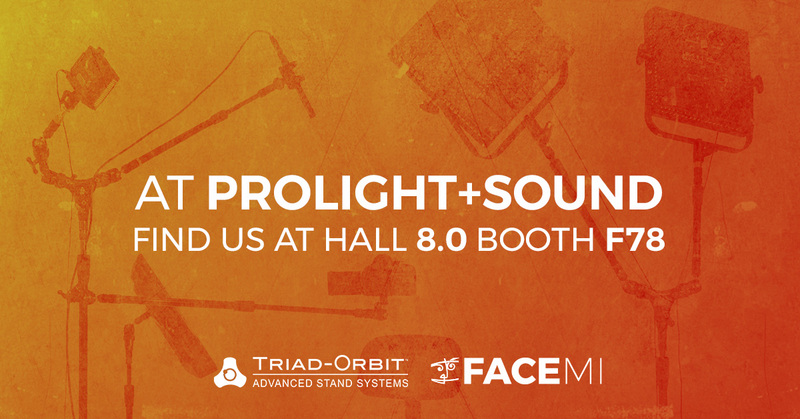 This year we'll combine a dedicated Triad-Orbit booth together with our FACE MI booth. Prolight + Sound will run this year from 2. – 5. April, so make sure to check your schedule and book an appointment with our team at the show.